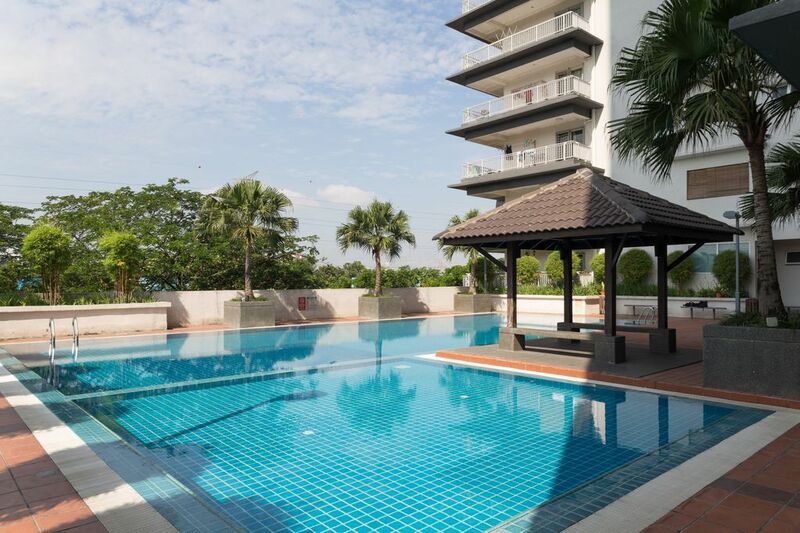 1 min walk from Cheras LRT Station and 7 km from KL city centre. Getting around KL by train is super convenient. Easy access to tourist spots like KLCC, Bukit Bintang, China Town, Batu Caves, Mid Valley &amp; etc. we had a wonderful time in this condo which was closer to the train station. transport was convenient either by train or taxi. Our host Jane told us about the mobile app "Grabme" through which we could book taxi at cheaper rates. Also Jane would arrange air port pick up and drop off at a fair rate. Jane was very helpful and nice. Her apartment was quite spacious for 8 of us. It was clean and well arranged.Cooking facilities were available with a gas cooker, microwave and cooking utensils. if you're in a real holiday mood and do not want to cook just cross the road to the wayside restaurant to enjoy the meals. Also there was a supermarket to buy groceries and vegetables. This indeed is a safe place with 24 hour security.